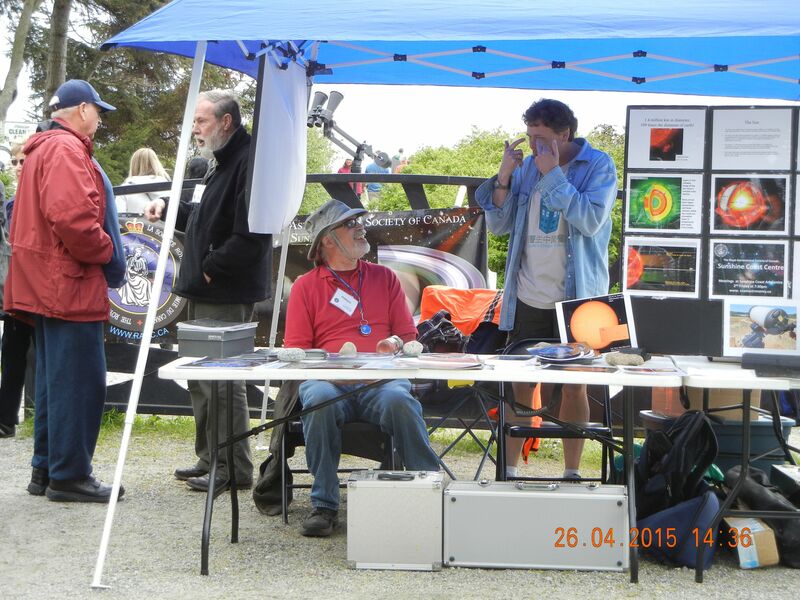 Mike, Scott, Neil, and Charles manned the information booth and solar scopes at Roberts Creek Earth Day on Sunday, 26 April, 2015. 169 people attended the booth and we had a few chances to show them solar activity with the solar scopes through brief gaps in the overcast. You can check out more photos of the event here. 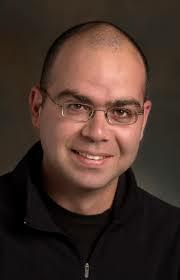 Dr. Levon Pogosian from Simon Fraser University will be speaking at the Sunshine Coast Arts Centre at 5714 Medusa St, Sechelt, at 7:30 PM on 8 May, 2015. His topic will be “From Static to Expanding to Accelerating: the past 100 years and the next 20”. Not only the universe is expanding, it is doing so at an accelerating rate. The physics causing the acceleration is currently unknown, but upcoming astronomical surveys of large scale structure will dramatically improve our ability to narrow the pool of possibilities. The lecture will review the history leading to the astounding discovery of cosmic acceleration in 1998 and the challenges that cosmologists are addressing today. In the month of May we will have a full moon on the 3rd and a new moon on Victoria Day, the 18th. The η Aquarid meteor shower will peak in the early morning hours of the 6th. Mercury is in a good position for viewing in the evening twilight in the West from the 1st – 21st. Venus will be very bright in the western sky after sunset. Jupiter appears in the western evening sky and moves eastward in the constellation Cancer, setting after midnight. Saturn is visible most of the night throughout the month, moving from Scorpius into Libra on the 12th. On the 20th Jupiter’s moon Ganymede will eclipse its moon Europa at 9:33 PM. On the 21st the crescent Moon, Venus, and Jupiter will be within 8 degrees of one another. Saturn will be at opposition on the 23rd, with its rings tilted 24 degrees toward Earth. Uranus will be low in the eastern sky in Pisces, but hard to see in the twilight glow in the first half of the month. The Moon occults Uranus on the 15th. The Wilderness Resort at the entrance to Narrows Inlet (http://www.wildernessresort.ca/) just opened their doors to customers: a group of university students and professors from U Saskatchewan on a sustainability retreat as it happens. The owners only took possession of the 124 acre site last January, and this was their first group of customers. 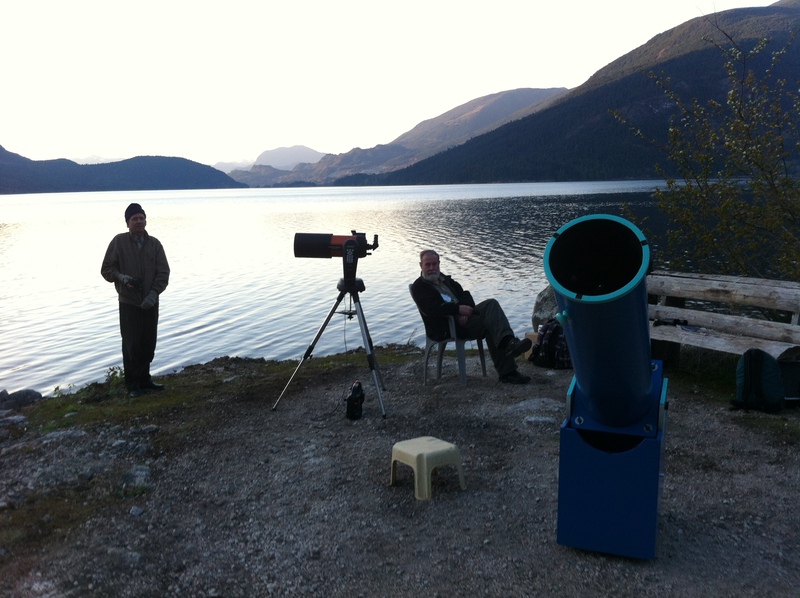 Our Centre was invited to be the “opening act” for this dark sky site: A star party. 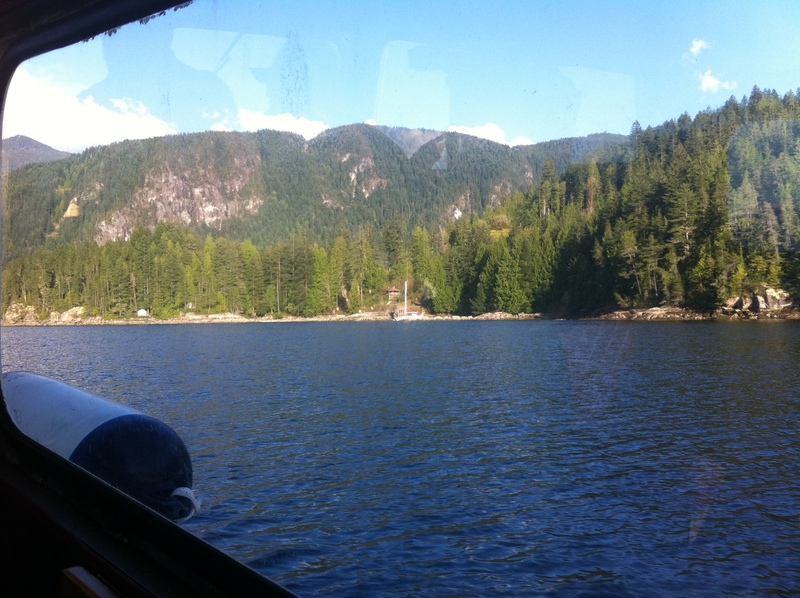 Neil and Mike joined me with their equipment at the government docks in Sechelt at 17:30 hrs and we were taken up by crew boat to the resort. We had a chance to walk about and check things out a bit and set up down by the dock, which seemed the best location for our event. 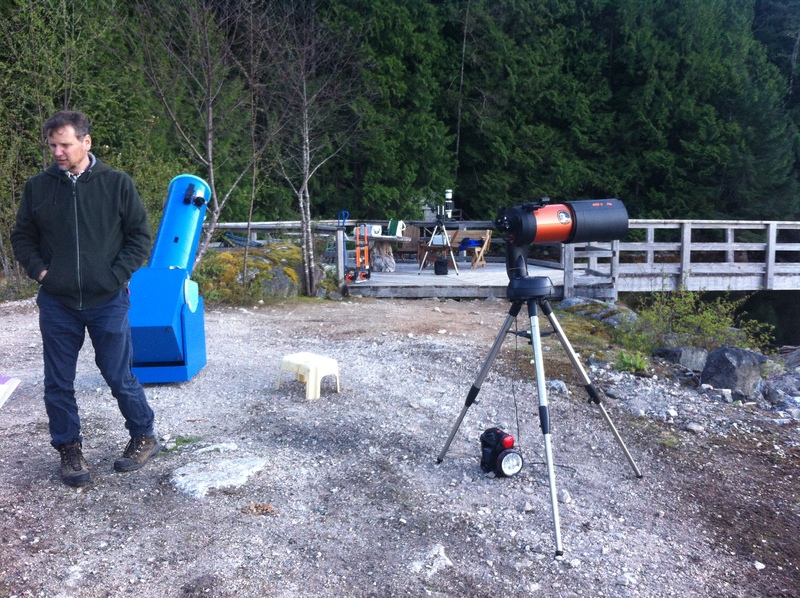 Once it got dark we took a reading with the sky quality meter to discover that it was a good dark sky site: 21.2 mag/arcsec2. The sky stayed clear and we showed the visitors Venus, which was showing a nice view just over half full, Jupiter and its four Galilean moons, the Orion nebula, M81 and M82, and other interesting sights. 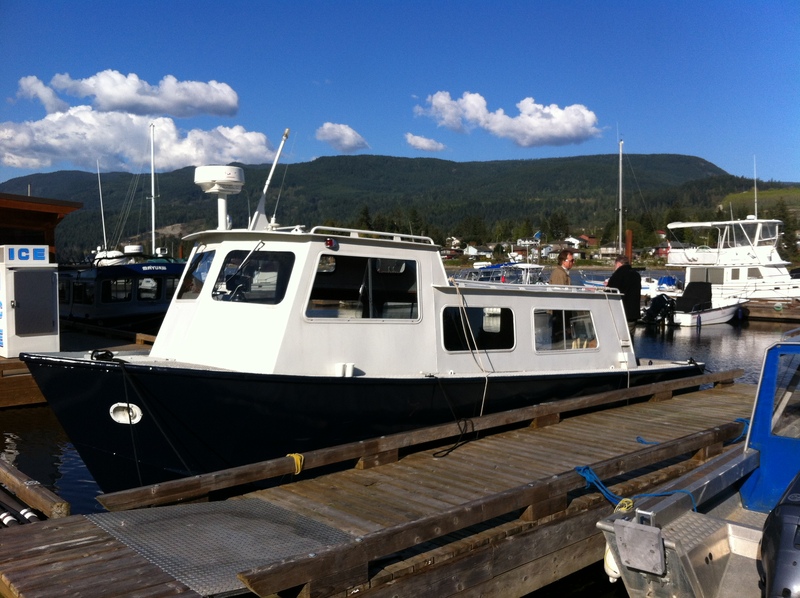 The crew boat brought us back at 22:30 hours. The resort made a donation of $150 to our Centre for our efforts. The owners have a large camp site they will be developing soon on top of the 230 meter high hill that is part of the property which would be a good site for astronomy. The hosts were gracious, supportive, and attentive and we enjoyed the event.